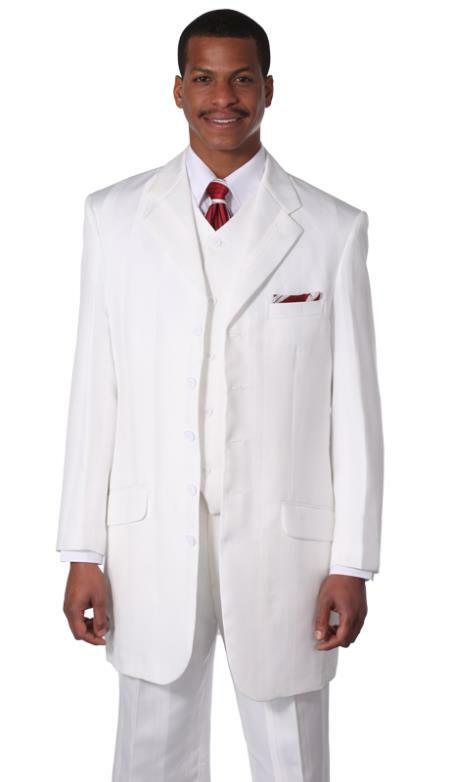 If you walk into most churches, you will find a mix of casual dress and men's church suits in the congregation. 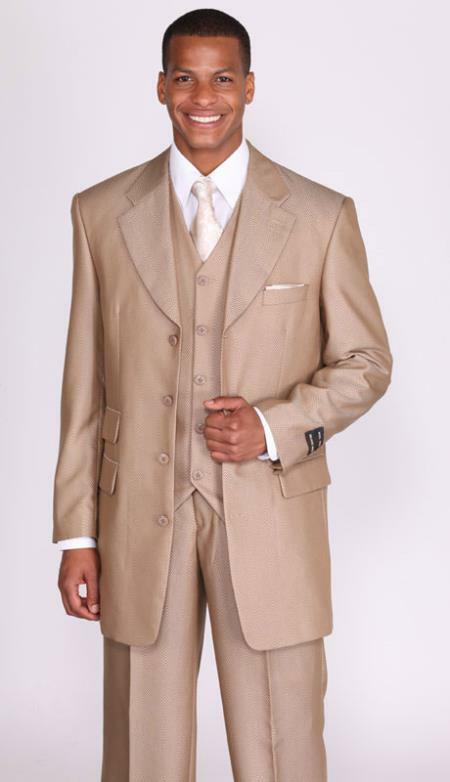 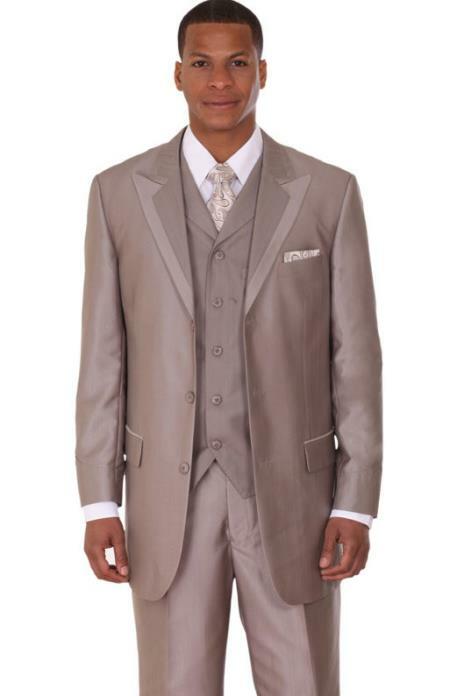 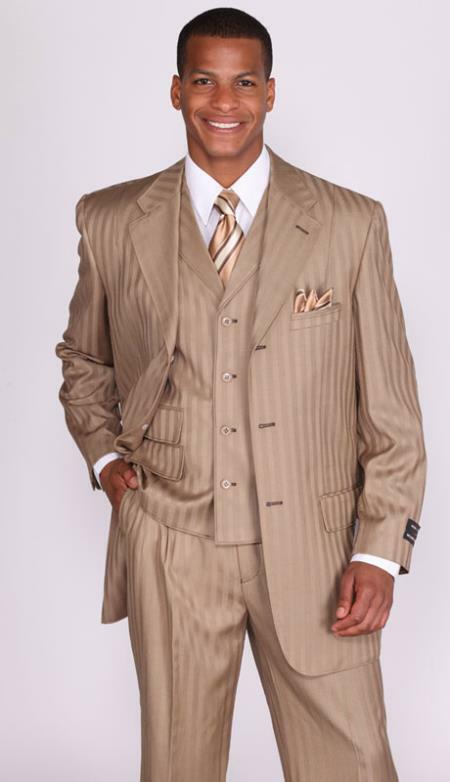 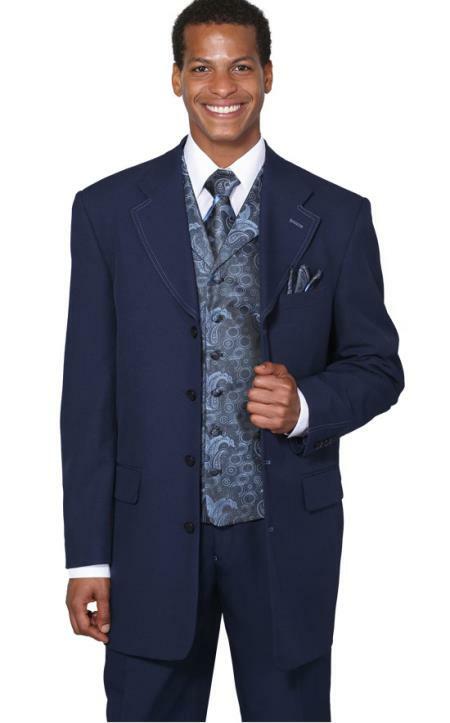 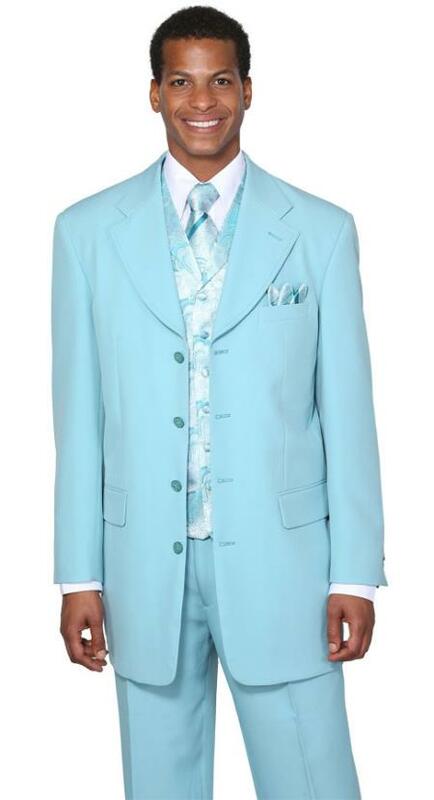 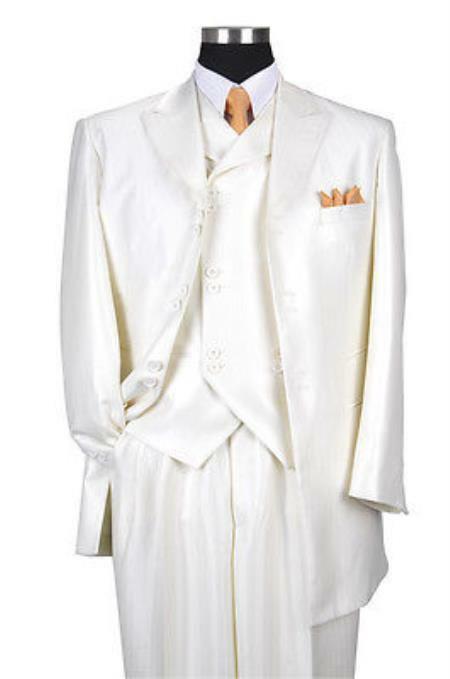 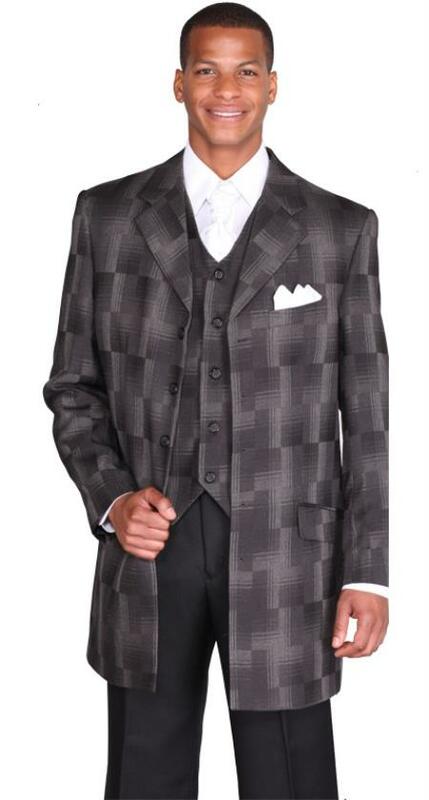 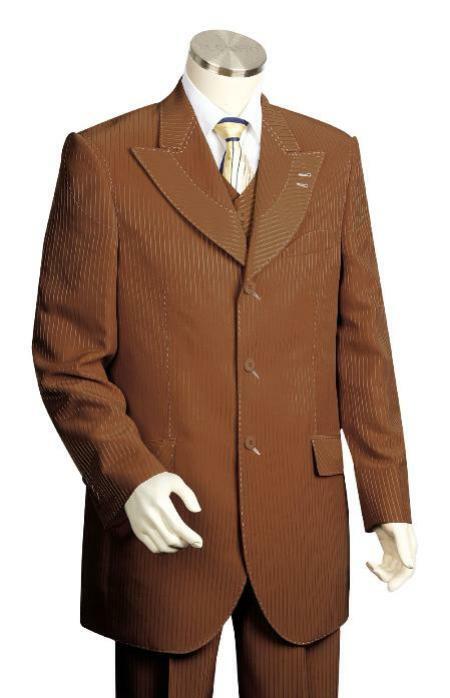 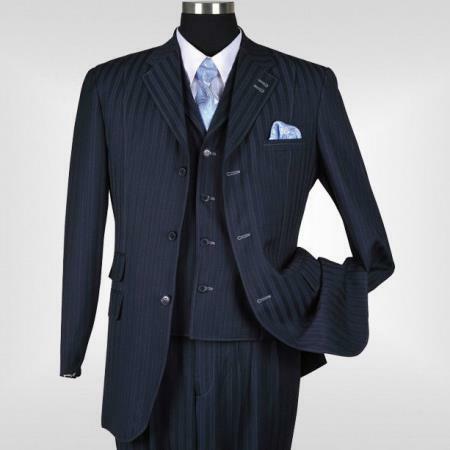 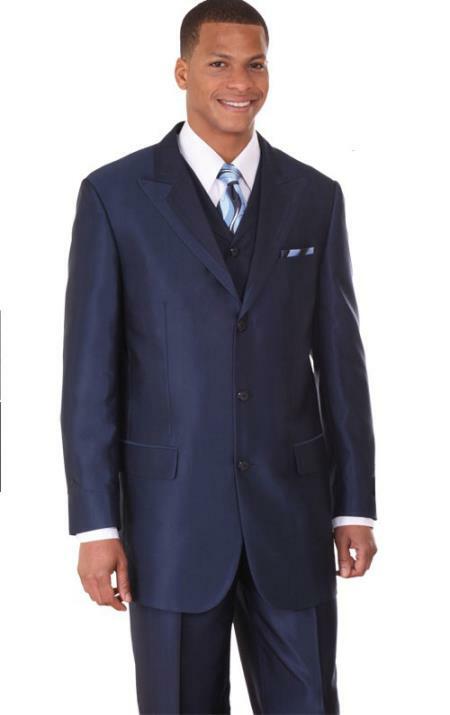 Men's suits are always appropriate for church services or other events taking place in a church and are almost always worn for weddings, funerals, and other special occasions. 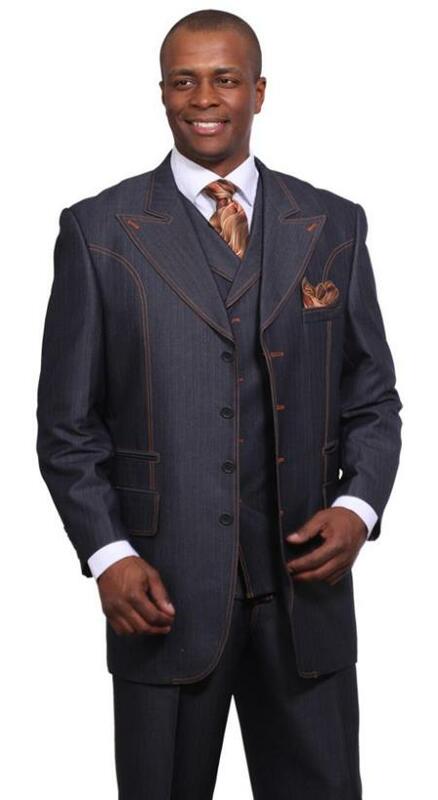 Men choosing to wear suits every week generally prefer to be well dressed on Sunday morning. 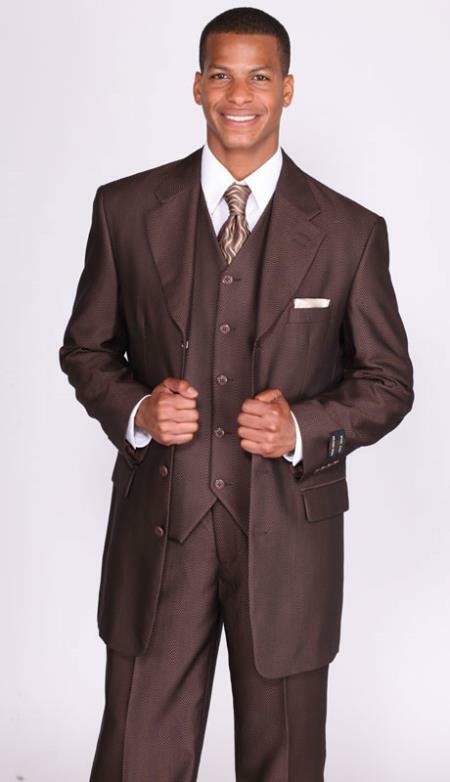 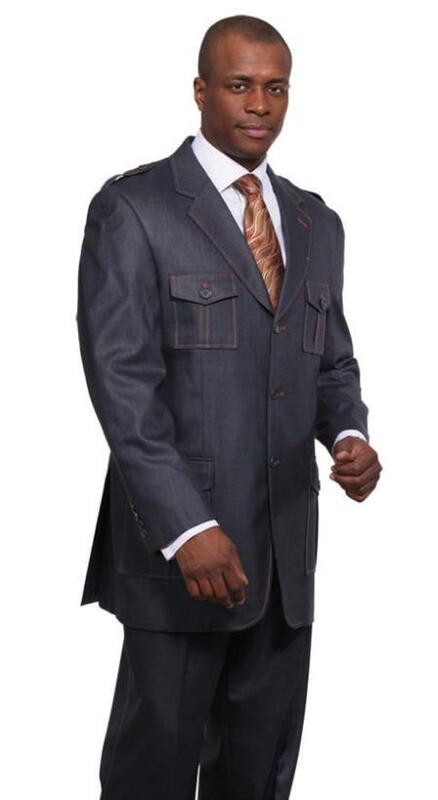 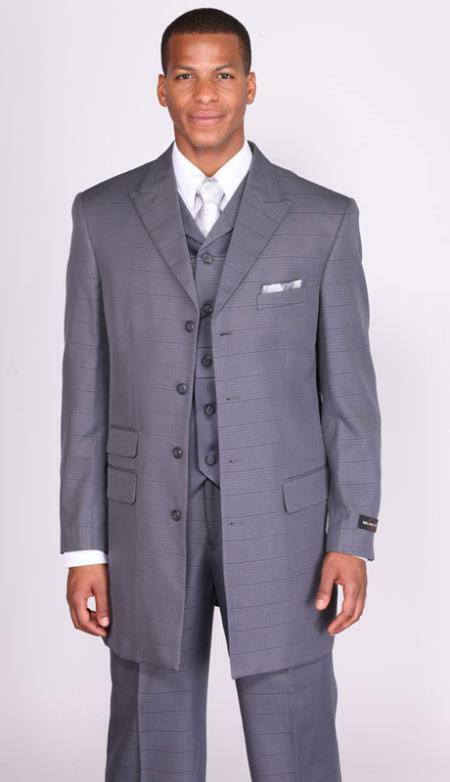 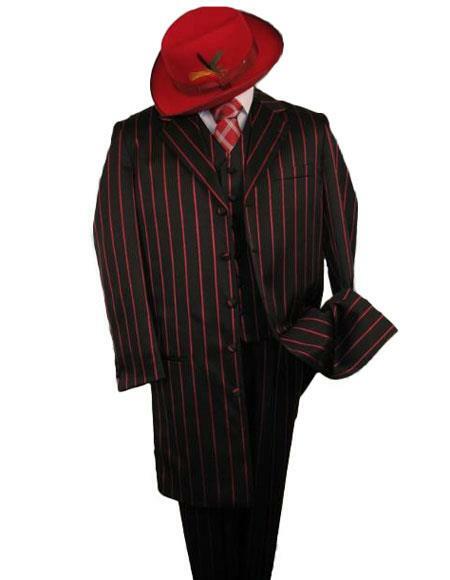 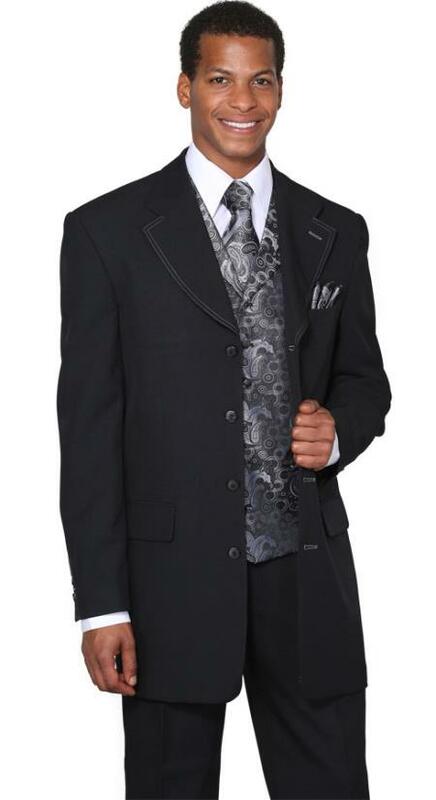 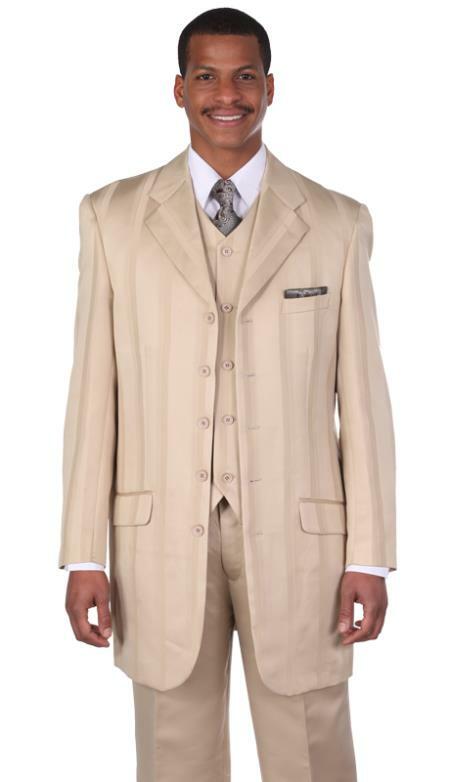 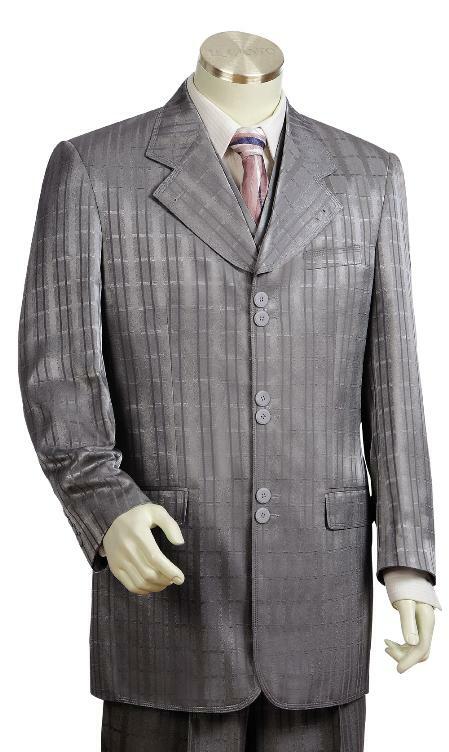 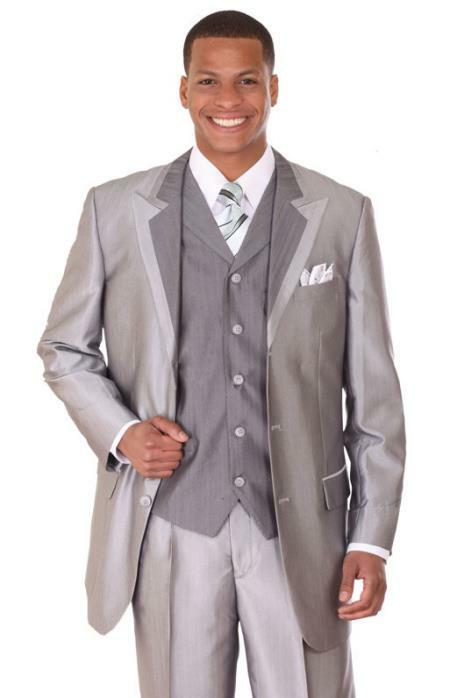 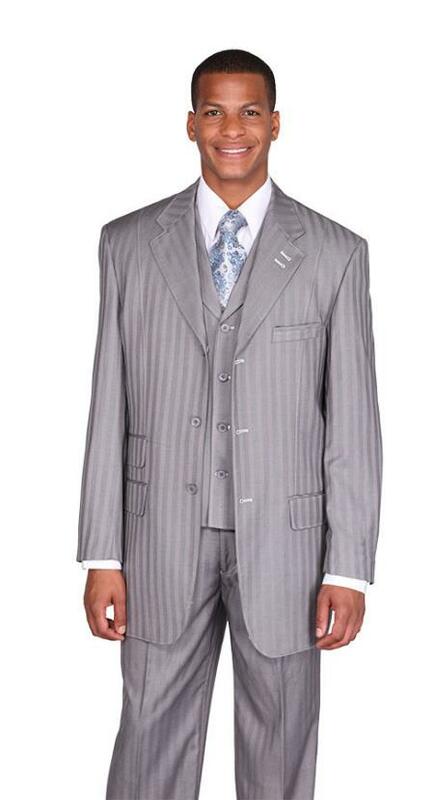 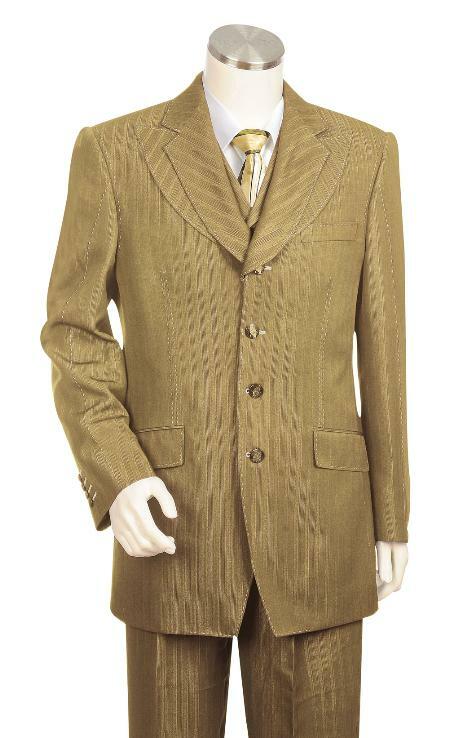 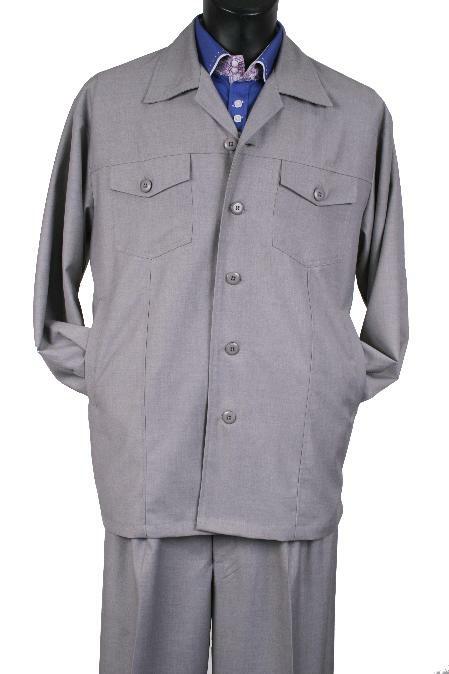 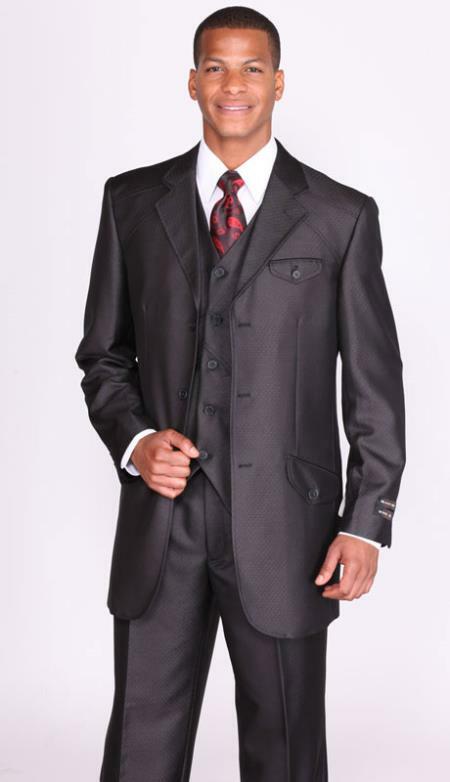 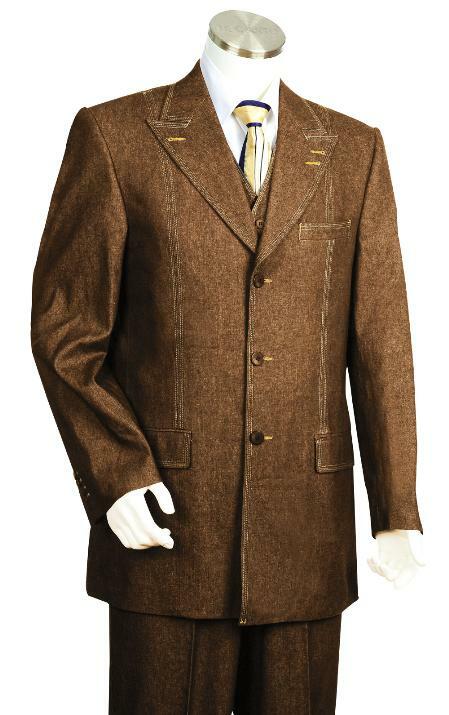 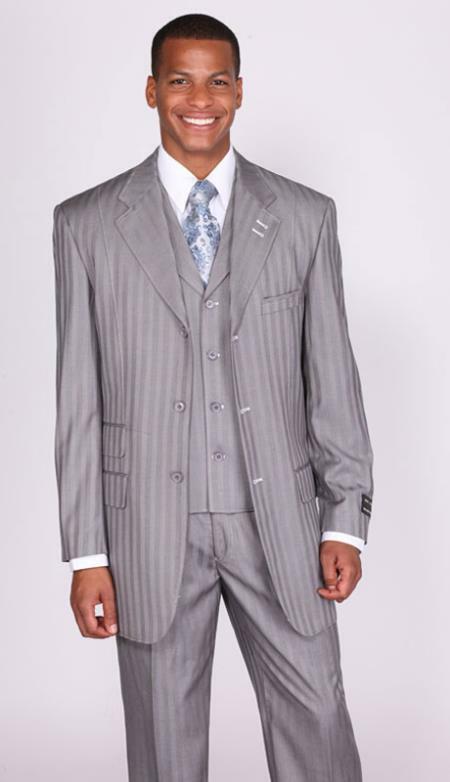 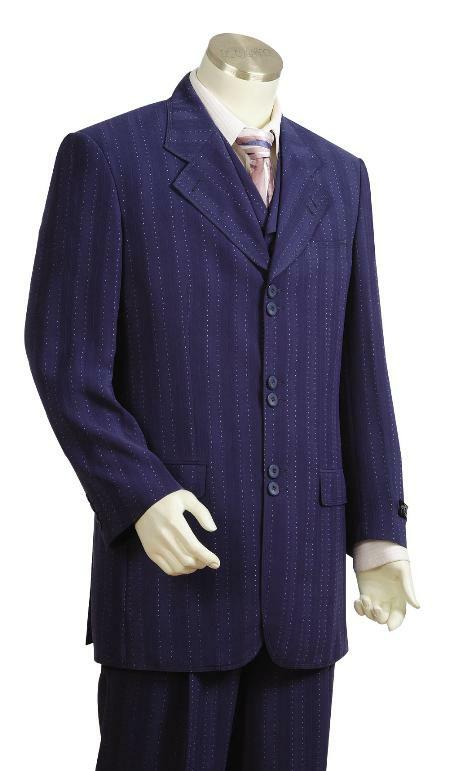 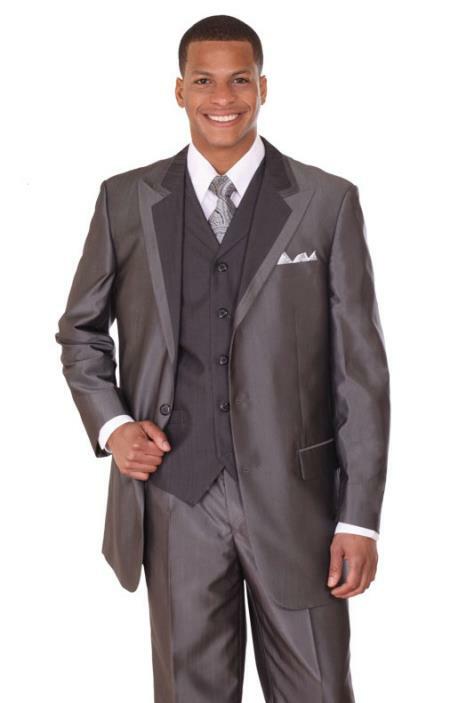 In general, men's church suits are found in more subdued colors, such as charcoal gray, black, navy or tan. 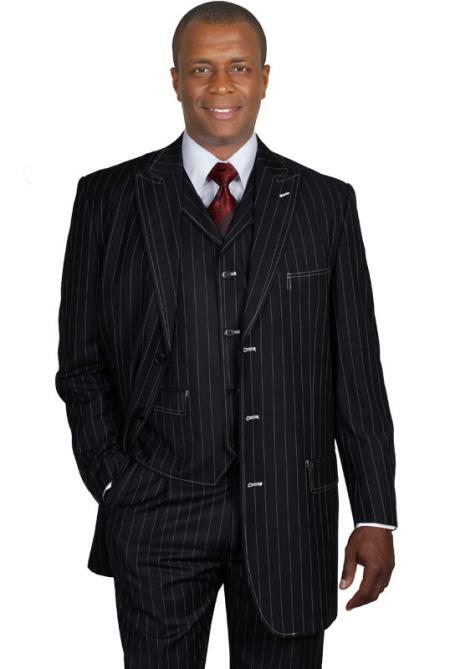 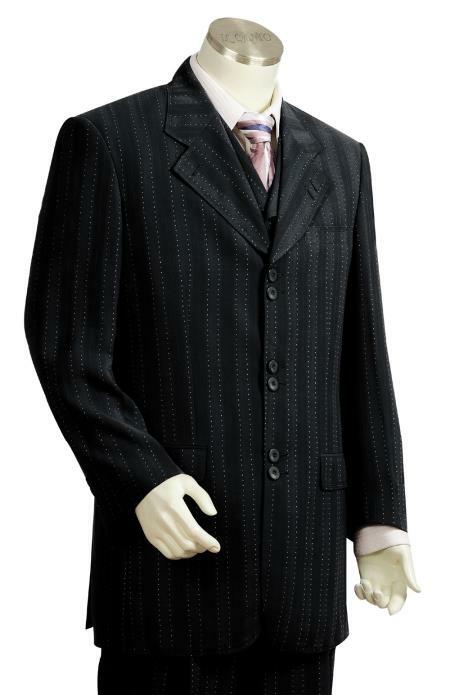 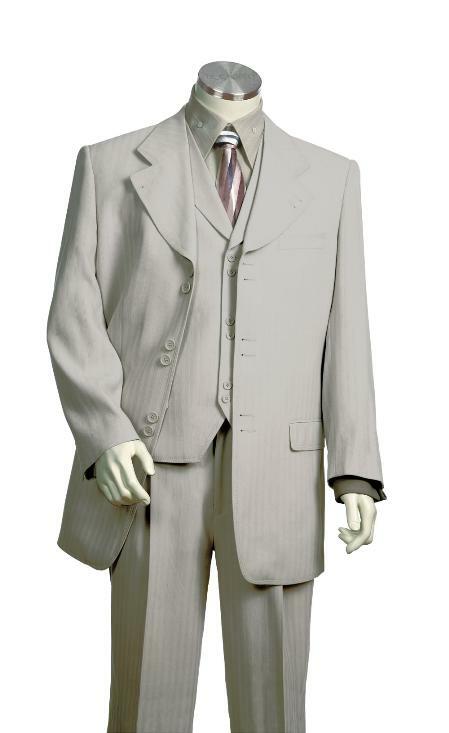 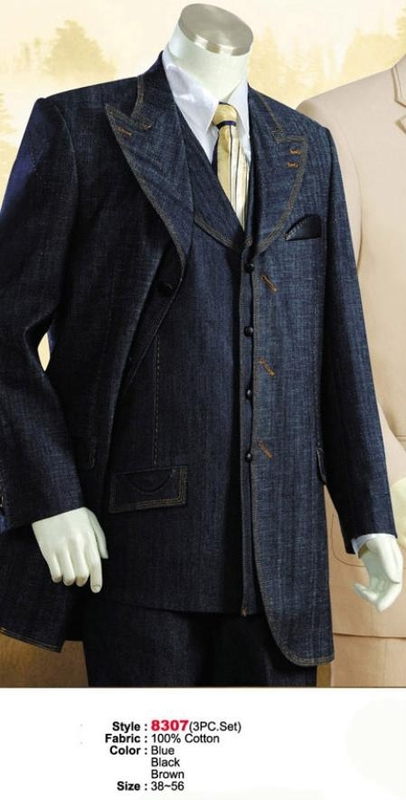 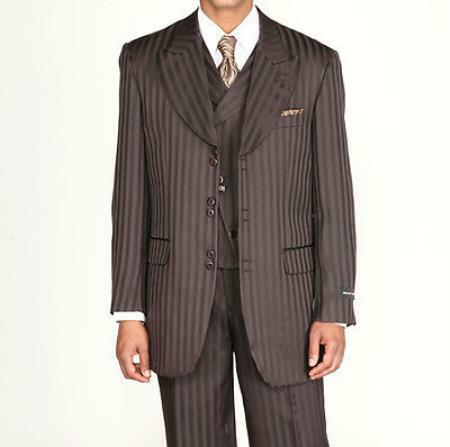 Single breasted styles are most common in suits for church and are available in two, three or four button varieties. 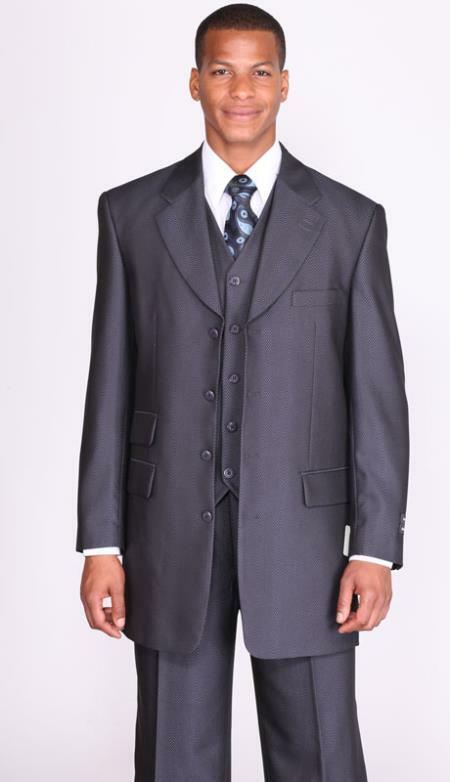 Double breasted are often seen at special occasions, such as holidays and weddings. 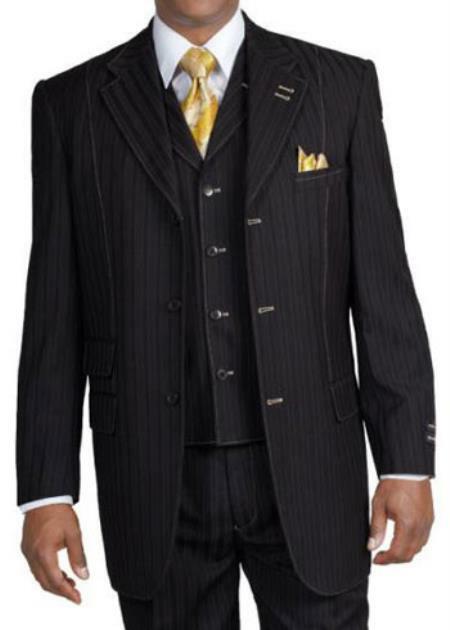 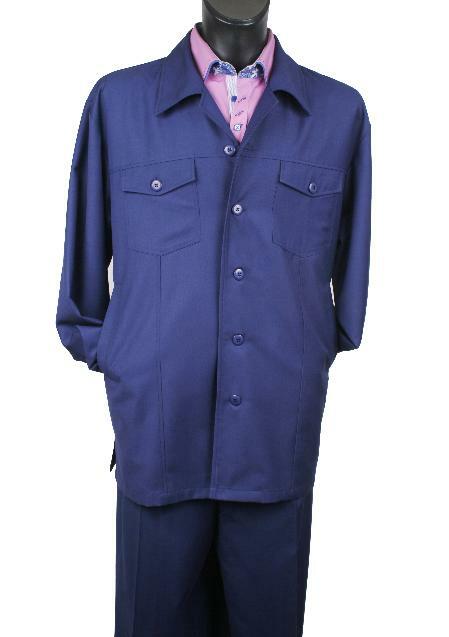 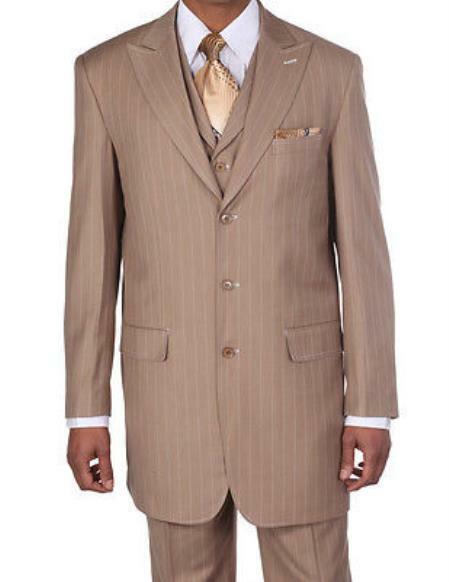 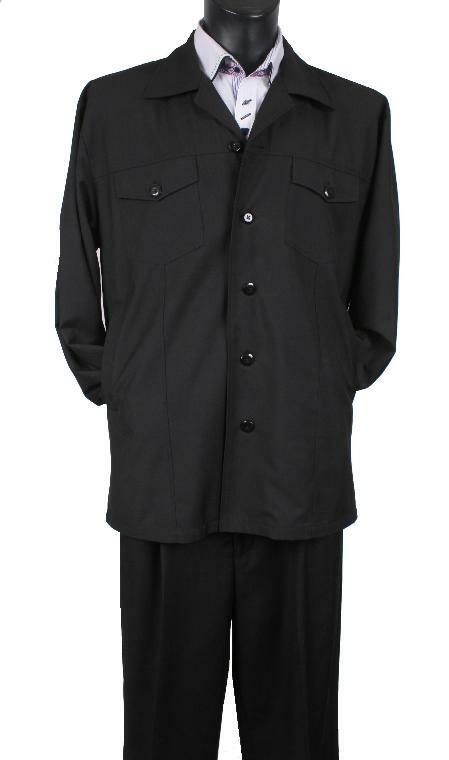 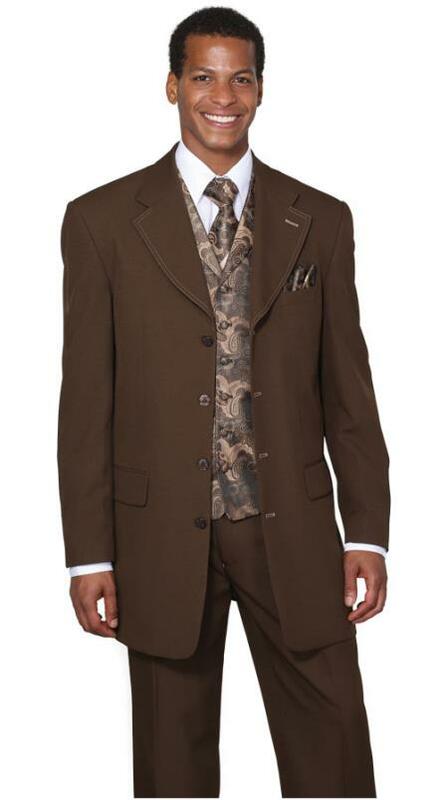 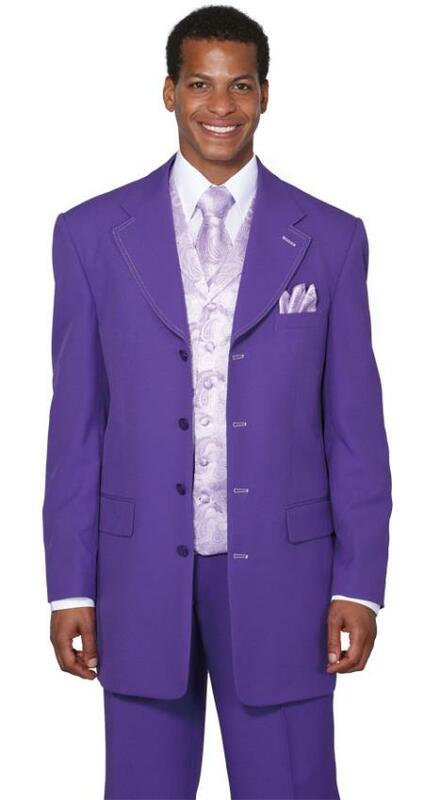 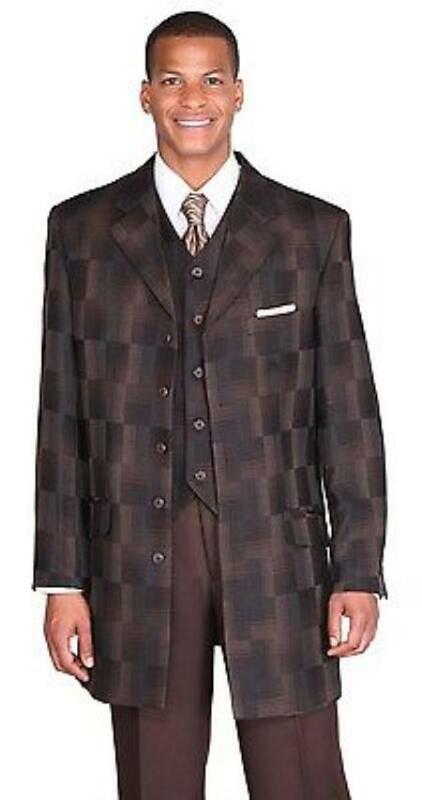 When you purchase men's sunday church suits from MensUSA, you will get top quality at a reasonable price. 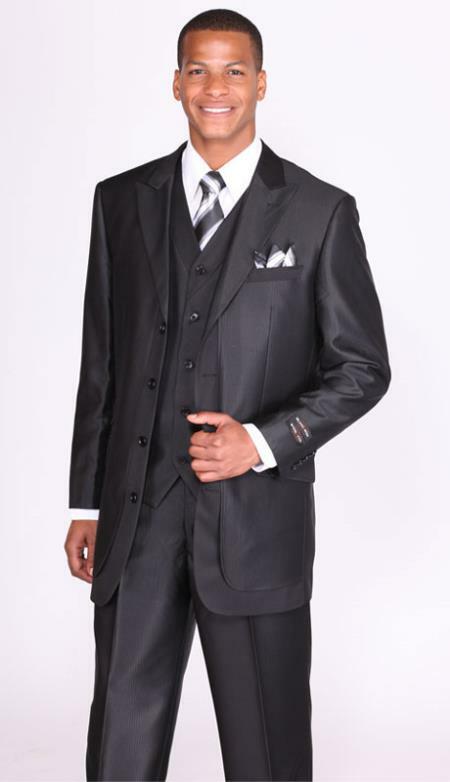 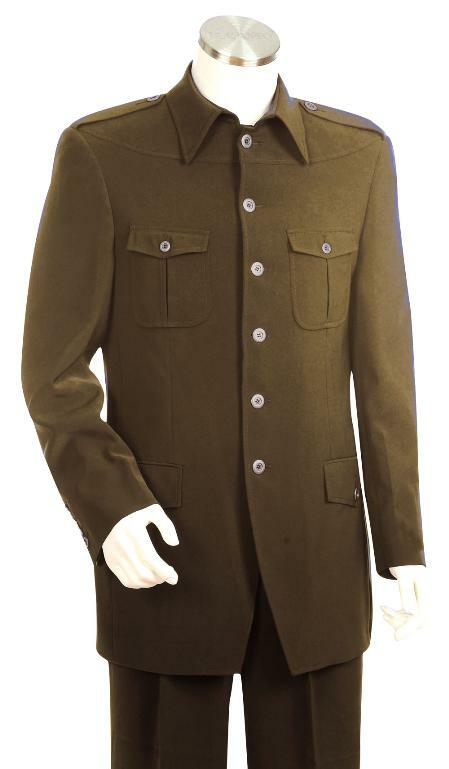 We are committed to providing our customers with the same quality apparel offered by the top designers at a lower cost. 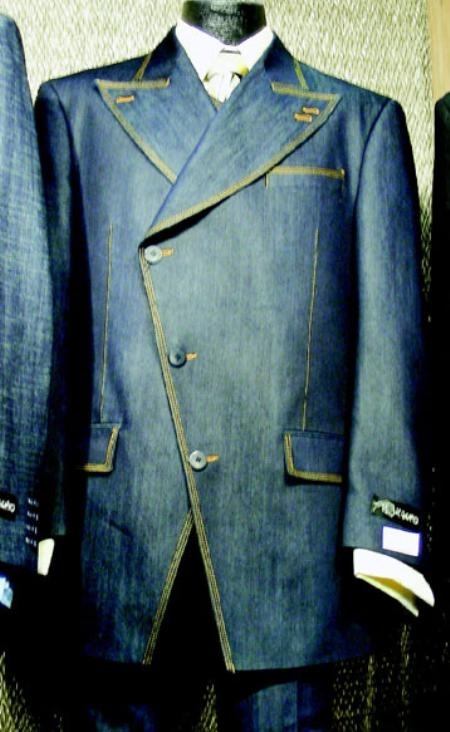 We are able to accomplish this goal through the relationships we have cultivated with professionals in the men's clothing industry. 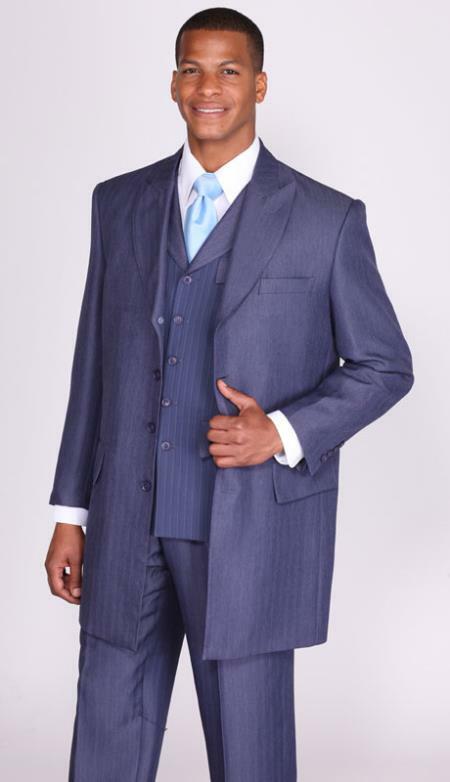 Browse our inventory of men's church suits to find a suit for a special occasion or to wear each Sunday. 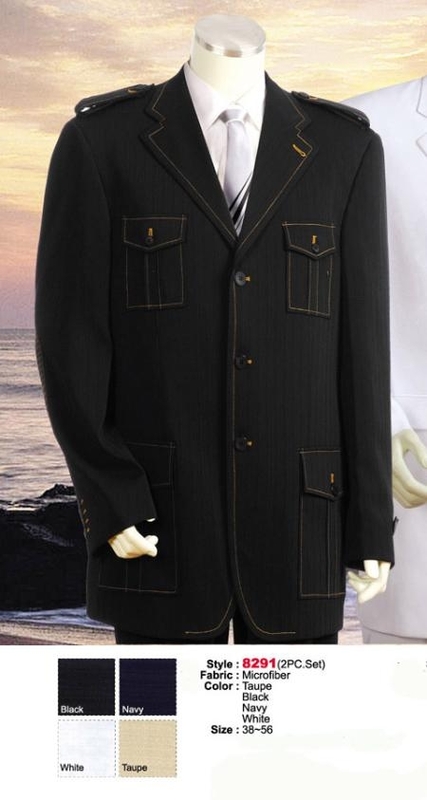 Our website has been designed to offer a convenient shopping experience in the privacy of your own home. 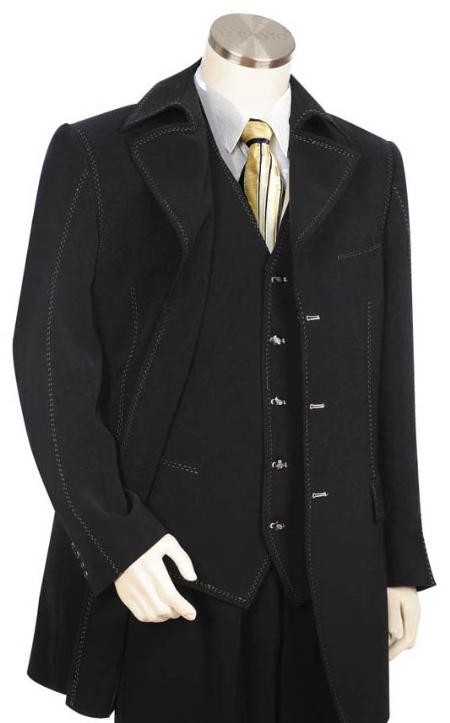 For help with size, check the "Measurement Information" link located at the top of the page. 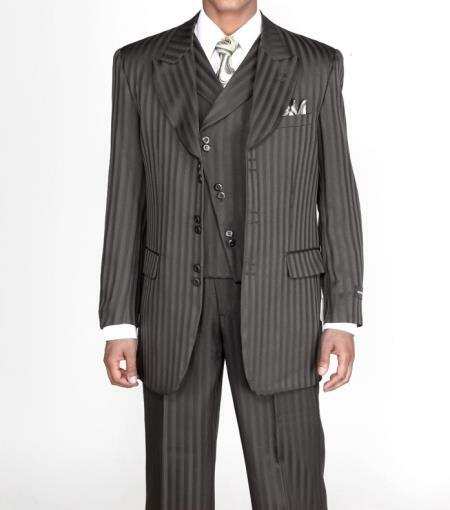 You will find tips for taking measurements and a size chart. 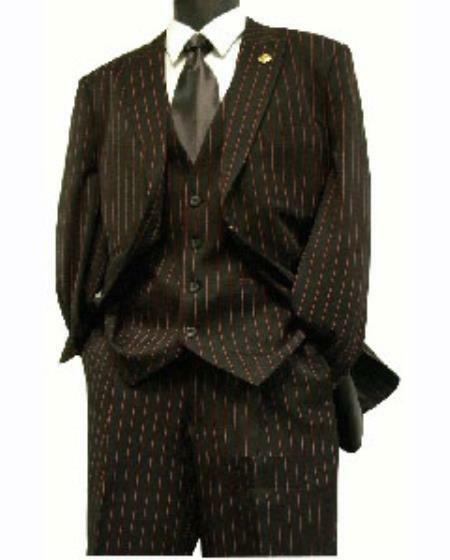 If you have any questions, or need assistance, please contact us.